We stock a huge choice of ski poles by all the leading brands including Rossignol, Dynastar, Kerma, Leki, Salomon, Fischer, Scott, Atomic, Head, Volkl, Sickstickz, LINE, K2, Nordica, Scott and more. Recreational, freestyle and race ski poles cheap in our sale, including specialist carbon fibre, aluminium and composite ski poles. Children's ski poles and adult ski poles in all sizes including 80, 90, 100, 105, 110, 115, 120, 125, 130, 135 and 140cm. Super lightweight pole with Leki's incredible Trigger S system. Comfortable and durable high performance all mountain ski poles from K2. Great value all mountain poles from Atomic. Lightweight ski poles with stars and stripes colourway. Rossignol's adjustable lightweight freeski pole. Amazing value pole from the top pole manufacturer in the world. 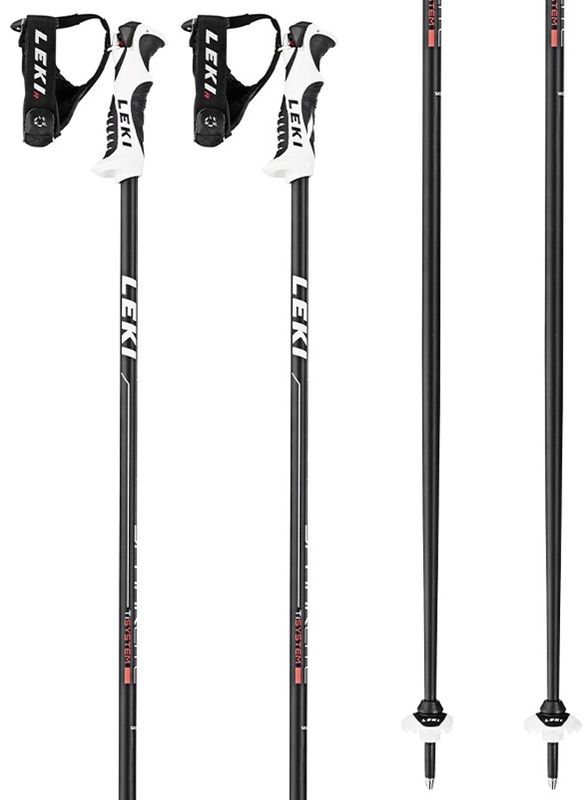 Leki quality at an unbeatable price. Great value Trigger S enabled pole from Leki. Amazing technology and safety form the No.1 ski pole manufacturer. 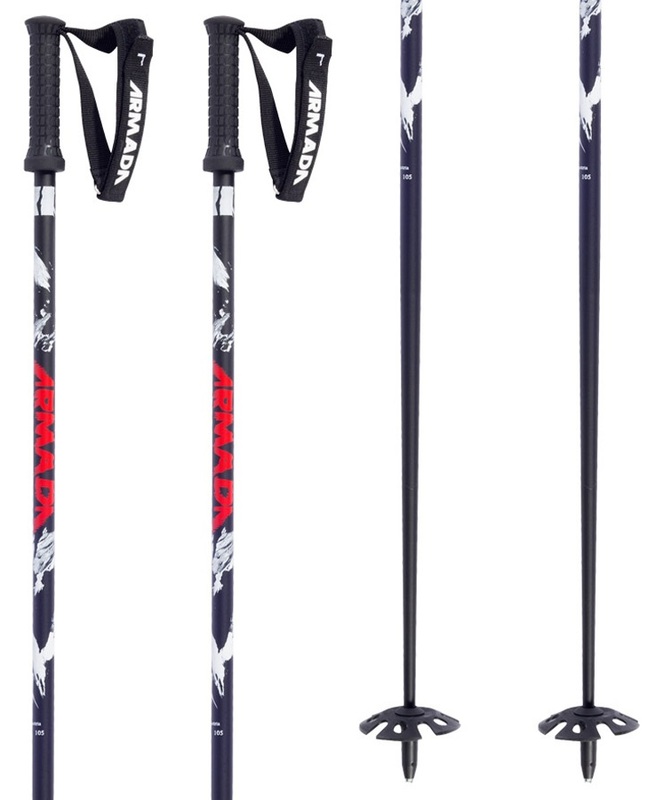 Comfortable and durable high performance ski poles from K2 that wont break the bank! The simplest, lightest, most affordable stick with the skinniest of grips! Armada's all mountain poles that have a quick change basket system and a comfortable grip. Shorter than your dad's poles but longer than your tall tee - the perfect pole for the park, pipe or snowdome. Lightweight, no-nonsense ski poles from Rossignol. All mountain poles from Atomic that feature their Safety Quick Release System. 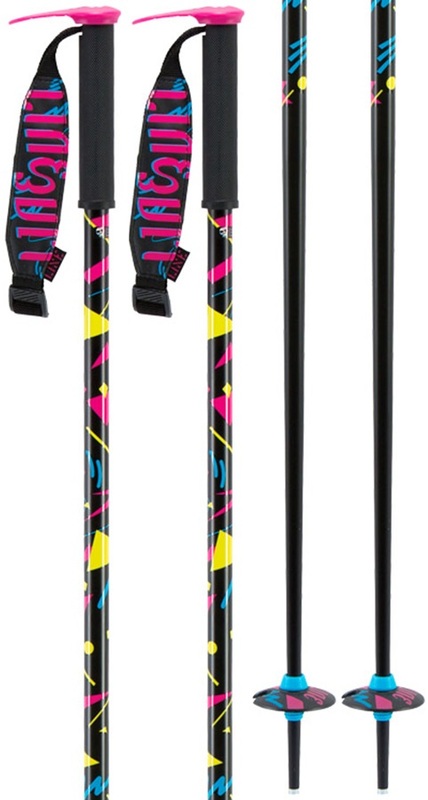 Functional and stylish all-mountain ski poles. Adjust the size for any scenario!